To Americans he was "Wild Cat," to Mexicans, "Gato del Monte." But to his own people he was Coacoochee, a warrior and diplomat who led the Seminole resistance to American injustice in their home territory of Florida and through the Spanish borderlands of North America. In the first in-depth study of this dramatic figure, Susan A. Miller, a historian and a Seminole, sorts out discrepancies between American history--where Coacoochee remains in the background--and Seminole tradition--where he stands as a great leader. Relocated in 1841 to the Indian country in what is now Oklahoma, the Seminoles under Coacoochee resisted colonization. Coacoochee instead led his people to Mexico, along with a community of black fugitives from slavery and another of Kickapoos, where they secured land in exchange for military assistance. Coacoochee's Bones tells the dramatic story of that migration, a story of armed resistance and diplomatic intrigue that ranges across the Indian country, Texas, and Mexico. It also portrays the extraordinary leadership displayed by this man, in order to restore him to his rightful place in history. A man born to an elite family, Coacoochee used the power of his status in creative ways, and Miller uses his career to explain his leadership in terms of Seminole knowledge and governmental structure, showing that Coacoochee's concept of leadership was linked as closely to spiritual as to political or military imperatives. 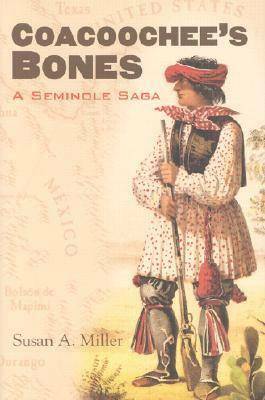 Her account offers a more nuanced understanding of the Seminole cosmos-particularly the reality governing Coacoochee's awareness of his own tribe's circumstances-and of long-standing borderlands disputes. She draws on Seminole, American, and Mexican sources to help untangle the histories of various emigrant tribes to the borderlands. She also examines the status of Seminoles today in light of the suppression of Coacoochee's story, including modern Seminoles' attempts to recover their lost homeland at El Nacimiento. By telling Coacoochee's story from a Seminole perspective, Miller presents a work of decolonization, reexamining Seminole history to affirm that people's centrality and sovereignty. Coacoochee's Bones restores a significant historical figure to his rightful place in history and is a work that cannot be ignored by anyone who wishes a fuller understanding of this continent's diverse and storied past.